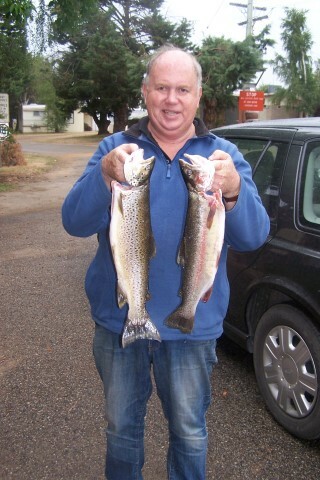 Rivers: Fishing on most off the rivers have been good, Best reports have been from the Thredbo up high around Thredbo town and higher down around the ski tube and little Thredbo has been good with some good browns and rainbow below the runs and into the deeper holes. Most fishers have been keeping away from the river over the Christmas holidays but the ones that have been hitting them have had a good time and now the holidays have finished things should get back to normal. 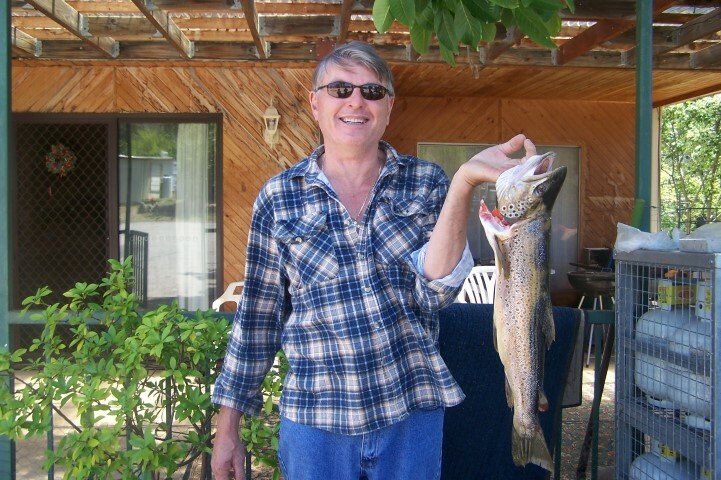 Overall the fishing is great the rivers are running well and the fish are on the bite. 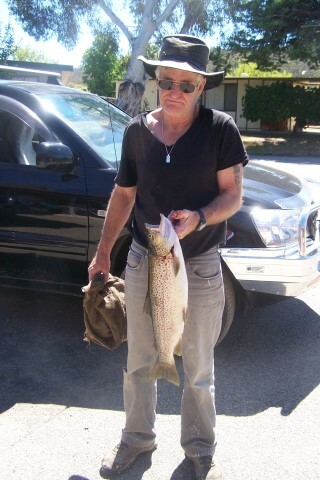 Well all reports coming from Eucumbene have been good the higher you go the better the fishing. Best areas are Sawyers, Kiandra. 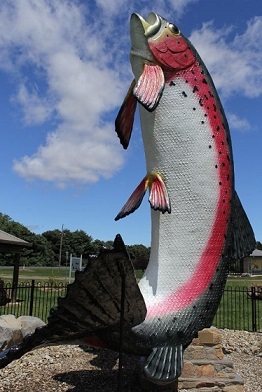 Up at Tantangara much the same fishing is good in places best areas are Murrumbidgee above and below the dam wall don’t forget about all the small streams above Tangtangara. Best flies are Adams Parachute, Royal Wulff, Std Nymphs, Caddis. Fishing around Jindy has slowed down but I’m sure things will Improve now with the Thredbo river running high and most bays are full of food so by the weekend things are looking good. Again most wet flies are working well. Fishing around the lake has been good with some good browns and rainbows most fish have been taking wets form 3am till 6am then from 6pm till around 10pm. Best areas have been frying pan, Braemer Bay, Rushes, Middling bank, Not many reports have been coming from the top end off the lake but after all that rain things should Improve up around Anglers and Providence. 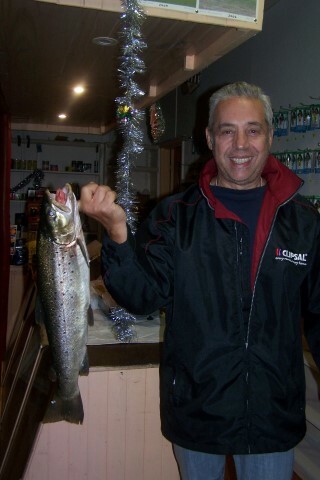 overall the fishing is great some fishers will beg to differ fish at the right time you will get results. Muddler patterns have been the big Improver and Fuzzy’s, woollie worms and STD Nymphs are working well and after all that rain try fishing around the gully’s or old creek beds. Well it was a tough week at Braemar with very heavy rain ruining fishing for the beginning of the week but by mid week the fish were back and each day since it has only improved, once again the mudeye fishing has been very good, all methods have caught fish but the trusty bubble float and drifted mudeye has worked best, up until midday Friday we have weighed in 5 fish over 2 kgs with the best fish of the week going to Steven Reynoldson with a great 2658 gms Brown caught around 11pm Thursday. Trolling has only just started because of the foul weather and murky water but Ernest and Joe caught some great Rainbows flat lining around Teal Island and at Coppermine with one Rainbow going 1500 gms, # 4 and #Y106 Tribal being the best so far which are contradictions seeing one is bright and the other dark, at least the fish seem interested in what comes by though. Eric and Shirley Flynn had a couple of outings getting amongst some fine rainbows on #112 and Vic and Liz Roberts managed some Rainbows and Browns trolling and on mudeye. Ole Nielsen struggled for most of the week which is most unusual for him but his early efforts saw some great fish landed and released, Philip Harvey managed 2 nice browns during the week with his best being 2358 gms caught using mudeyes and Steve Kollas managed a nice Brown over 2kg also using mudeye. Alan Beveridge made a triumphant return to Braemar after an absence of some years and managed several nice fish caught on worms and fly and Peter Giles has proved once again that the fish will readily take a fly during the midday sun landing a nice Brown Rainbow combination in less than an hours fishing, there are still some lengthy periods where nothing seems to happen and then all of a sudden the fish are everywhere, particularly as the day progresses toward nightfall, with predicted find and calm conditions over the next few days the fishing should only get better. Pictured below are Philip Harvey with his 2358 gms Brown, Alan Beveridge with his fine brace, John Kollas with his 2 kg Brown and Steven Reynoldson with his impressive 2658 gms Brown.